I am gaining some momentum starting a new project called, "Black Sheep." Below are some shots of what I worked on today to kick off the project. 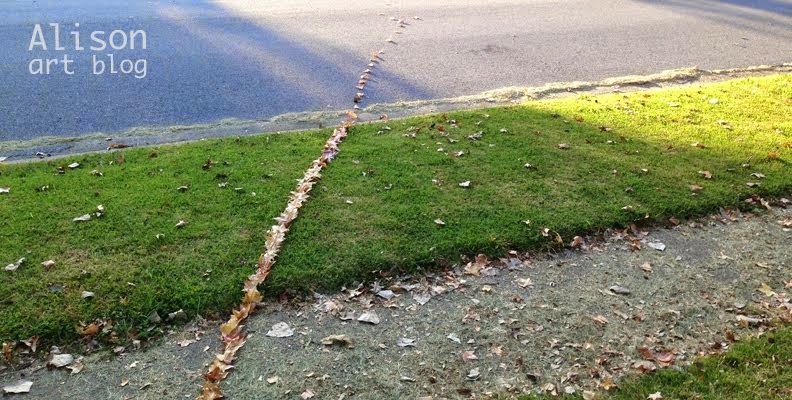 I asked myself to draw a line outside with any materials available and this is what I came up with. The line went into the street and cars drove by and ruined it. But that's okay. It's kinda the point. I promise this project isn't an Andy Goldsworthy rip off. These are just some experiments for now.